Limited time offer. Participation varies. See dealer for details. Standard rental rate will apply after 3 months. Installation extra. Minimum 1 year service plan required. Your inputted zip code is serviced by another dealer. Please locate your dealer at www.culligan.com. Water Smell or Taste Bad? 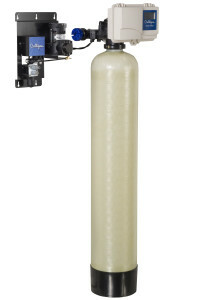 Try a Culligan Water Filter. Does your water smell like rotten eggs? 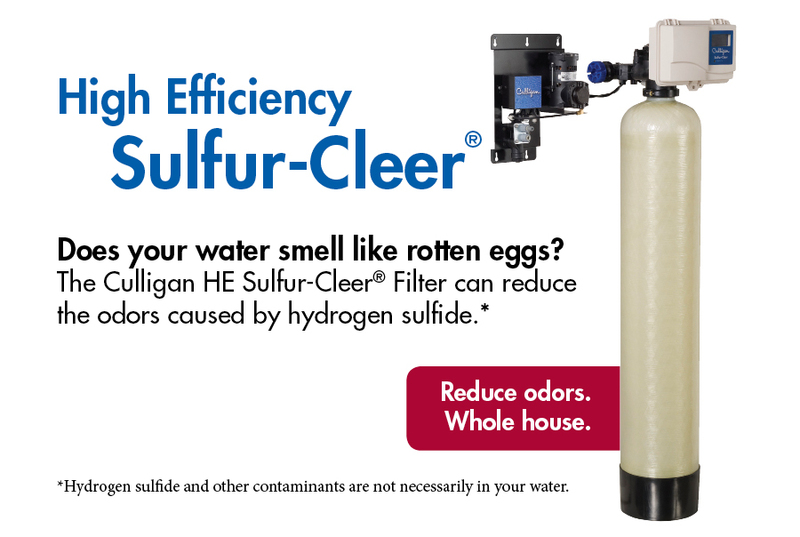 The Culligan Sulfur-Cleer® Whole-House Filter can reduce that odor through an advanced filtration process that oxidizes hydrogen sulfide. * Your local Culligan Man has the right water treatment knowledge and expertise to fix even the biggest problems. Your local Culligan Man can recommend the right water conditioning solution for you. Gets rid of sulfurous rotten-egg smell. Reduces hydrogen sulfide and iron* in your water. Reduces rust stains on sinks, fixtures, dishes and clothes. Culligan water systems are third party certified to perform as promised and are backed by one of the most comprehensive warranties in the industry. *Hydrogen sulfide and other contaminants are not necessarily in your water. I am very pleased with the service provided by Culligan of Flint. I've only been a customer for a few months but I'm really wondering what took me so long to receive this wonderful service. There's nothing like have clean soft water in the house. We plan on being part of the Culligan family forever. We have been a customer for years and our guy is always courteous, carries 2 or 3 bags of softener salt to basement and empties them ensures everything looks good and let's us know he is done and leaving. I would recommend them to anyone looking for this service. We are satisfied. Our well water was TERRIBLE. We had to replace faucets constantly, our hair, nails and skin were definitely being affected, and not to mention the horrible egg smell everytime the water was turned on. Thanks to culligan, we have amazing water, no more smells and we will not have to replace faucets or anything else ruined by our well water! Thank you culligan! One happy customer! Should I purchase Bottled Water or Filtered Drinking Water Systems?